It has been said that play is children’s work. Children work hard at their play because they can make it up themselves. The best part about children’s play is that they learn a great deal while having fun. Here are some things to keep in mind about play. “Play” can be any spontaneous activity that is fun. Spontaneous play occurs when children do an activity freely. If children organize a ball game, dramatic play, or a game of hide-and-seek, they are meeting their needs for spontaneous play. 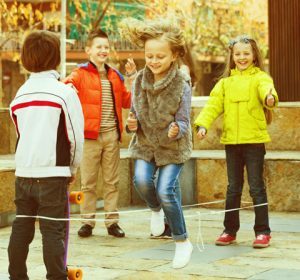 Spontaneous play is different from enrolling children in little league or signing them up for dance lessons. Children benefit most from a balance of activities adults plan and lead and activities that children plan and lead on their own. Language skills when they play name games, sing songs, and recite jump rope rhymes. Thinking skills when they construct a block tower, follow directions to a game, and figure out pieces to a puzzle. Small-muscle skills when they string beads, make clay figures, and cut with scissors. Large-muscle skills when they play ball, roller skate, and run relay races. Creative skills when they make up stories, put on a puppet show, and play with dress-ups. Too many structured activities. When their lives are overscheduled with activities, sports, and lessons, children do not have time to themselves and for unstructured play. Too much screen time. When children watch too much television, their play too often mimics what they see on TV (or on the video or computer screen). TV watching, video games, and playing mobile apps also rob children of valuable time to play. 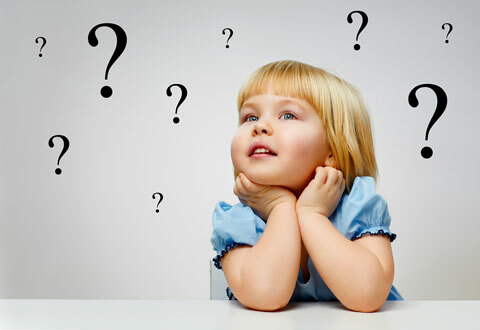 If a child says, “I’m bored,” she may need more unstructured time for play. Parents often hear children complain about boredom when activities are not scheduled for them. Children need “down time” and time to be alone. These are the occasions when children’s imagination and creativity take hold. These are the times when children experience the full benefits of play. 06/2014 Comments Off on What Is Developmental Screening?